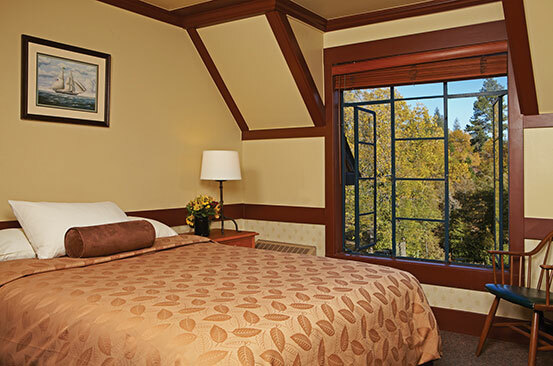 At the UCLA Lake Arrowhead Conference Center, groups of 10 to 200 can enjoy our charming chalet-style accommodations (Condolets) from September through mid-June. 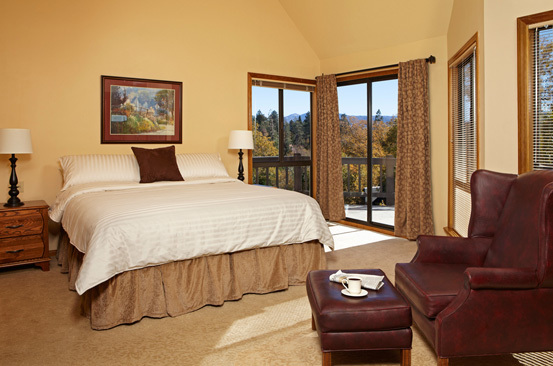 Our Condolets are two-story, two-bedroom, two-bath accommodations, with wood-burning fireplaces and decks with beautiful mountain or lake views. 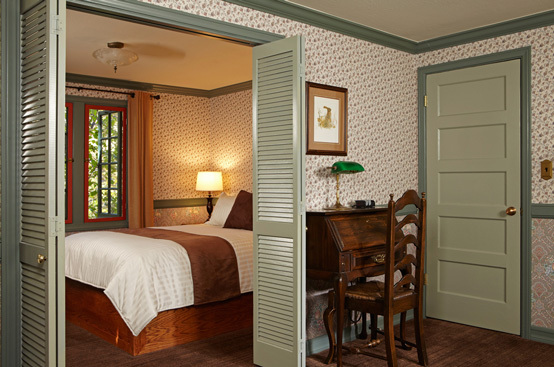 For added convenience, all units have complimentary Wi-Fi. 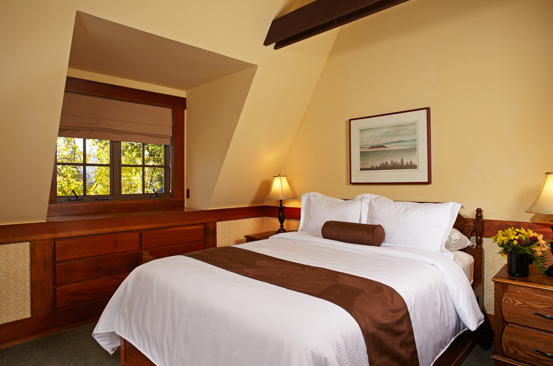 Your group will enjoy these inviting accommodations as part of our Complete Meeting Package (CMP). 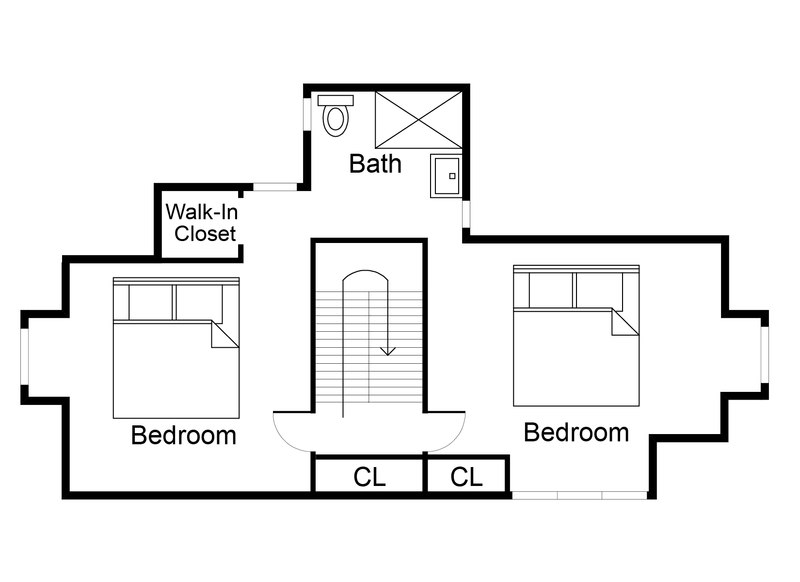 Stonewall: Three units, each with a queen bed. One unit has a living room and wood-burning fireplace. The other two have outdoor decks. 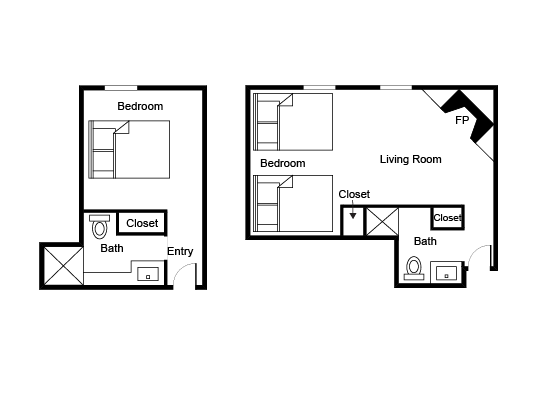 Willow Creek: One unit with two bedrooms and a bathroom upstairs, a living room, a kitchen, and a wood-burning fireplace; an additional bedroom and bathroom downstairs. Brookside: Three units, each with a queen bed and a living room. 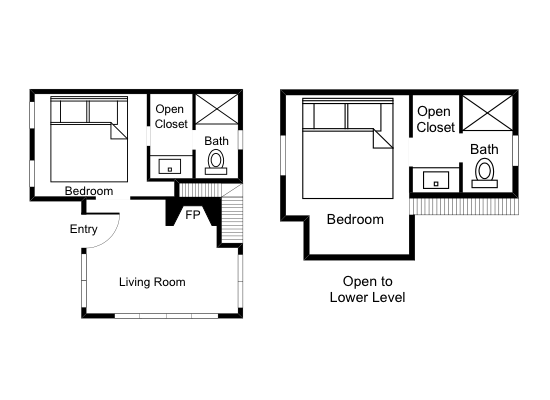 These three units have connecting doors. 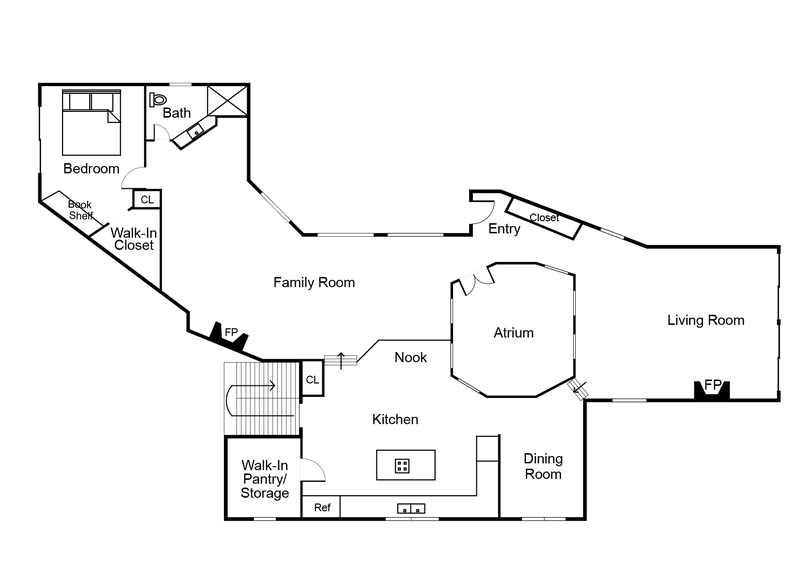 Geneva: One unit with three bedrooms and two bathrooms, living room, dining room, fully-equipped kitchen, fireplace, and deck with lake view. 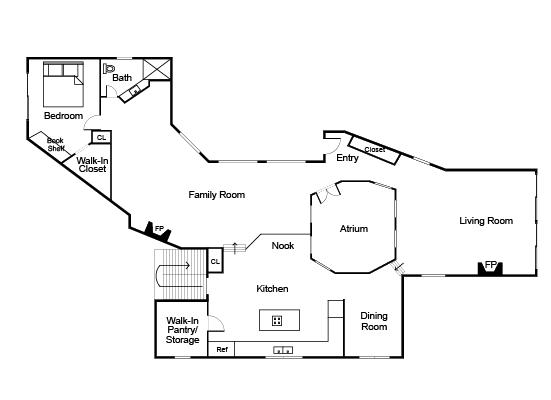 First Floor: full kitchen, two living rooms (each with its own wood-burning fireplace), one bedroom and one bathroom. 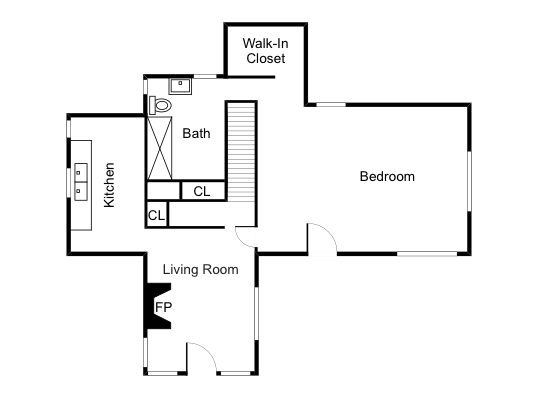 Second Floor: three bedrooms. 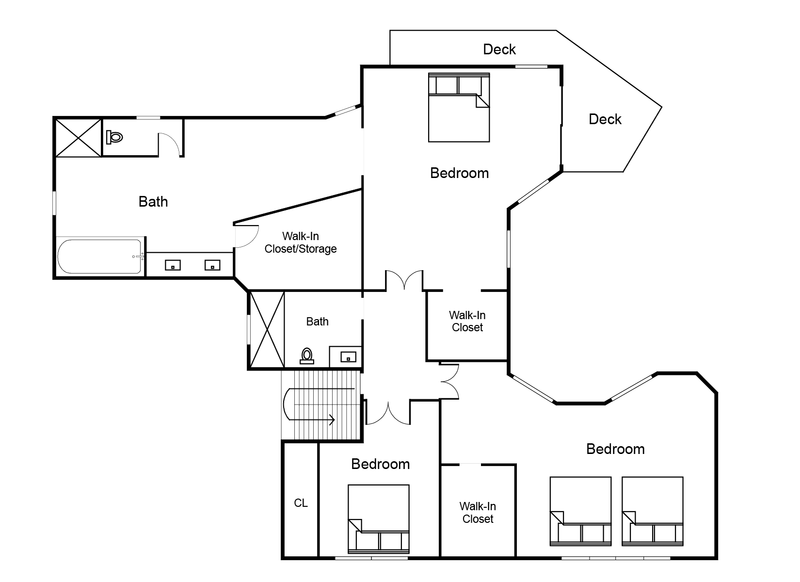 The master bedroom has a king-size bed with an oversized bathroom and deck. 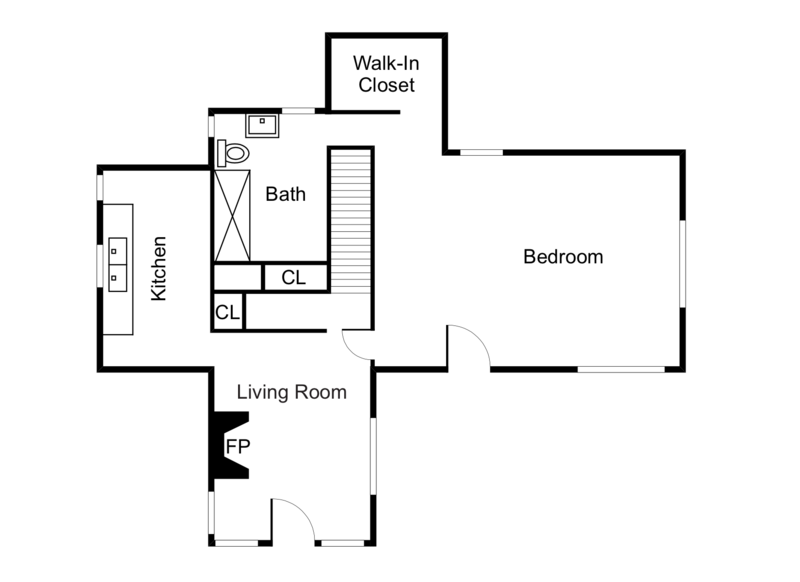 The other two bedrooms have a queen bed in one and two queen beds in the other with a shared hallway bathroom. Outdoor decks on each level with beautiful views.